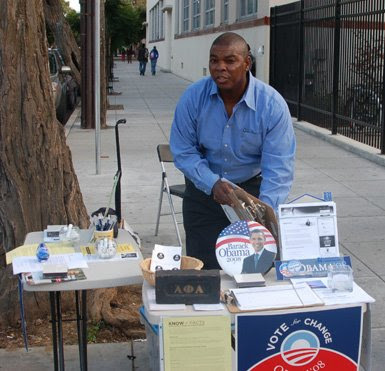 Is the Obama campaign is something new? 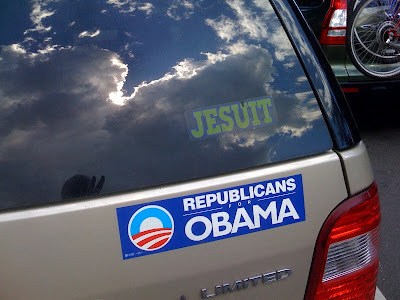 So is the Obama campaign more like a non-profit organization or a labor union? Neither it turns out. This campaign is something else again. 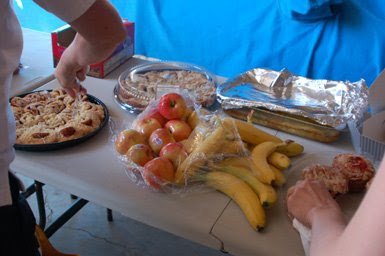 On Saturday in Reno, besides the standard coffee and orange juice, we were offered fresh fruit, and, under the aluminum foil, a homemade frittata. 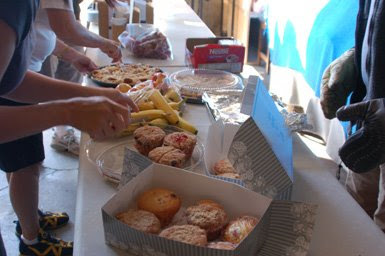 Not that sweets were absent from the spread. Working on campaigns encourages me to feel as if I were in control of my life. 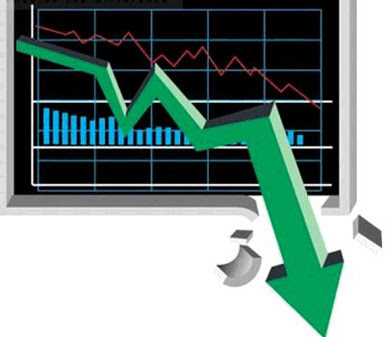 Watching the bailout go down in Congress and the stock market gyrate (Dow up 485 today -- huh? ), reminds me that I'm really just flotsam in a storm, a cork bobbing in vast seas, hoping I don't get thrown up on a rocky shore. This is possibly a realistic reminder that I am not in control, that I am dependent on community and chance. But that doesn't mean I like it. So I've read a lot of articles about the financial system -- and I am not going to pretend I understand all this. If you want a good collection of points of view, this might be a good starting point. He wants the U.S. government to put money directly into banks so they start loaning -- and get what private enterprise would get for its cash: partial ownership of the banks. Probably too simple for Congress to achieve. "Tradition has brought us this far, but the future is right in front of us." 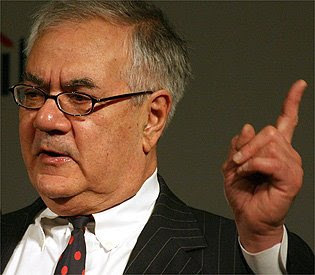 Secretary of the Treasury Henry Paulsen on the market tanking after the bailout bill failed in the House today? Speaker Nancy Pelosi on why she must bring the bailout bill back for another vote? Sarah Palin on the desirability of drilling for oil in ANWR? Christian Right preachers on why they should be able to endorse John McCain from the pulpit? I'm home tonight from a weekend canvassing for Senator Obama in Reno. The candidate himself will be there at the University of Nevada campus quad on Tuesday morning if you happen to be in the neighborhood. 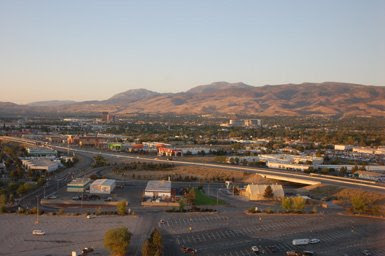 It was our pleasure to alert lots of people in Reno to this opportunity to see the guy. We've been asked not to blog about this work until after the election, so I won't -- except to say that it is a pleasant experience during which I never felt my time and energies were being wasted. Try it out if so inclined. Opportunities can be found through the Obama website.You won't be sorry. Meanwhile, here are some pictures of what we saw in the town that bills itself as the "Biggest Little City in the World." We weren't the important event in town this weekend -- that was Street Vibrations, a festival of chrome, music and revving engines. 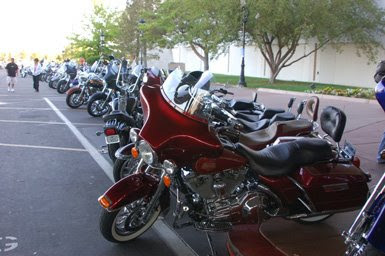 And lots of steeds parked at hotels and downtown. 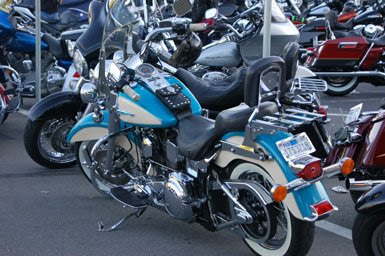 Quite a beauty, that one, if you like your cycles in baby blue. 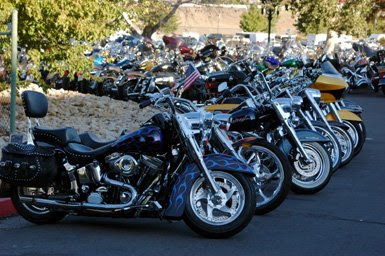 Meanwhile, out in the neighborhoods, it would have been possible not to know your town was full of thousand of bikers. 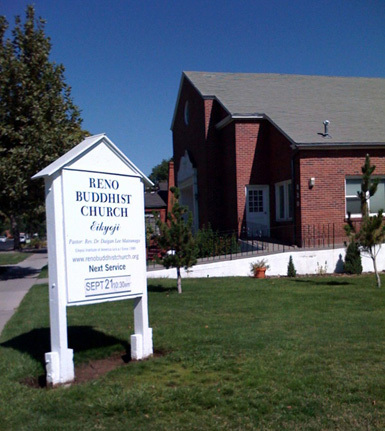 In Reno, this pretty little Buddhist Church might as well be a suburban Methodist edifice. while this one seems highly desirable in a place that depends on the entertainment industry. 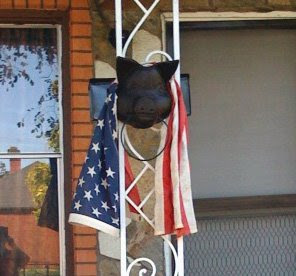 I had no idea what was meant by this porch ornament. 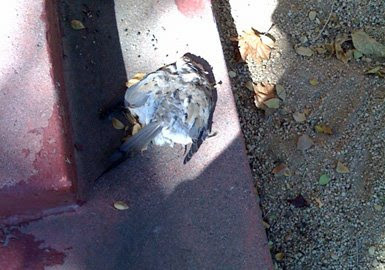 Nor was I pleased to encounter this dead pigeon on one doorstep. 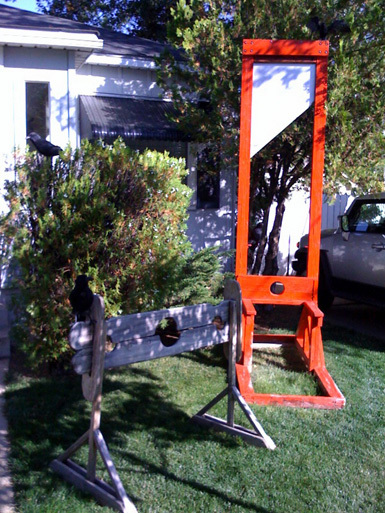 On the other hand, the guillotine on a suburban lawn was clearly an early, if macabre, Halloween display. This gentleman, sadly, wasn't being at all playful. I had to wonder whether he'd ever encountered a live Muslim. But the complete folly of the conversation is illustrated by the graphic from the Gallup organization above. 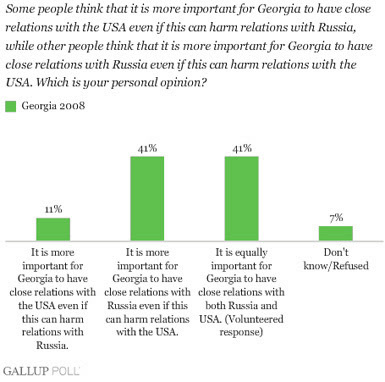 By and large, Georgians are MUCH more interested in good relations with their actual neighbor, Russia, than in being a dependent of the United States all the way around the world. It appears that what has been deemed the "2008 South Ossetian War" has pulled the people of Georgia into a conflict with Russia at a time when many see close relations with the country as important. Just because they have an impetuous president, Mikheil Saakashvili, who got them into a war, doesn't mean they don't know better than to pull the tail of the bear, if the people at large had their druthers. Remind anyone of why we don't need another quick-to-the-draw, impetuous president here? Wish Obama wouldn't take the bait on this one too! My whole household is spending the weekend in Reno, canvassing for Obama. More pics later, unless I'm too pooped. Even overdeveloped high desert is lovely at sunrise. 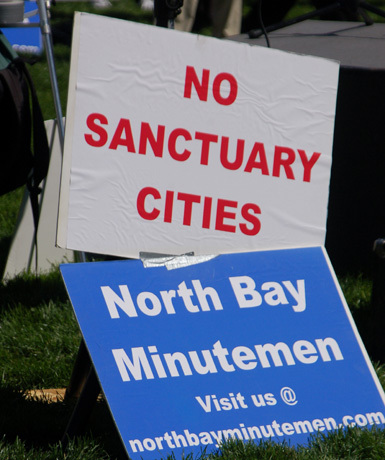 Members of the nativist group the Minutemen brought their anger at San Francisco's "Sanctuary City" policy to the lawn across from City Hall on Thursday. About 75 Minutemen types held their rally while about 125 immigration activists marched around them, chanting vigorously. 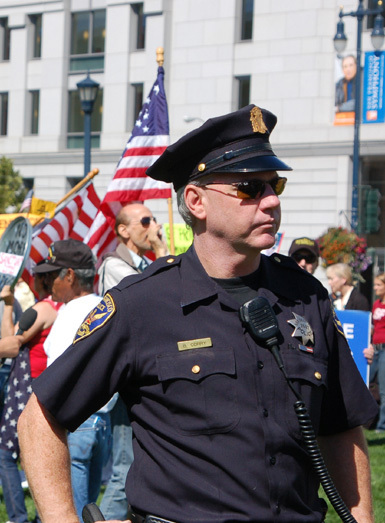 ...while San Francisco's finest watched warily, protecting the anti-immigrant group's free speech. 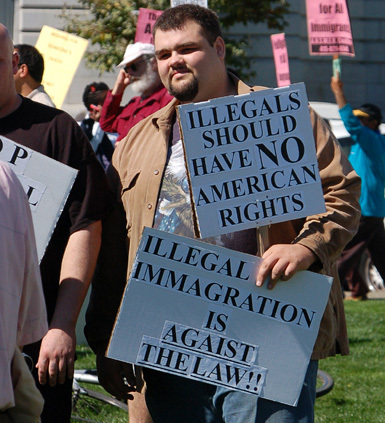 This guy has a limited notion of rights. And I didn't mind that this one was penned in. Meanwhile immigrant advocates tried to explain to the media how the city's "sanctuary" policy benefits all San Franciscans. 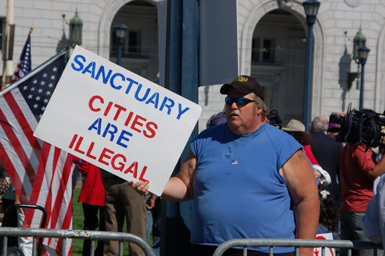 Put in place in the 1980's the policy tries to assure all people that they can use city health facilities and expect police protection without having their immigration status questioned. 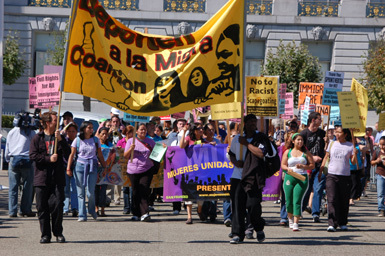 It's a profoundly practical matter: the police would get no cooperation in whole swathes of the city, including the Mission 'hood where I live, if people had to be afraid they'd be turned over to the migra (immigration police). S.F. mayor shifts policy on illegal offenders. Political pressure worked and the city officially backed away from its longtime practices, at least verbally. Lots of heat was generated; extremely little light was cast. This newspaper-driven panic about the brown newcomers in our midst set the scene for today's visit from the Minutemen. As I left the rally, I noticed a line of confident, well-behaved, school children leaving the garden that currently occupies the center of Civic Center plaza. The rally didn't scare them, nor the counterprotesters. 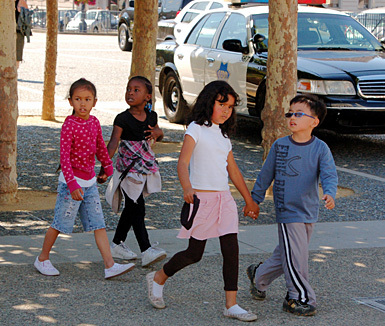 They are the San Franciscans of the future. They don't look like the Minutemen. I don't think he offered enough assurance to angry Americans or doubting members of Congress that the Paulson plan delivers a fair and equitable resolution to the crisis that faces us. Perhaps that is because the "bailout" to Wall Street isn't " fair and equitable"? And wouldn't this be a better world if we could do it! So far, progress has been mixed. 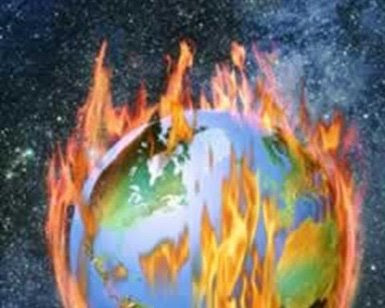 A U.N. report warns that the world is not getting there on schedule. The leaders of many nations gather at the United Nations today to assess that progress. There have been critics. The Marxist objection was articulated by Samir Amin: the goals were not the result of an initiative from the economic South, the poor nations, but from the small group of North American, European and Asian nations that benefit from imposing their definition of global development on the peoples of the periphery. I've heard a more personal version of this critique from an individual U.S.-citizen aid worker recently returned from a stint in a poor African country: nobody asked anyone she worked with whether these formulations were how they thought they could work their way out of poverty. 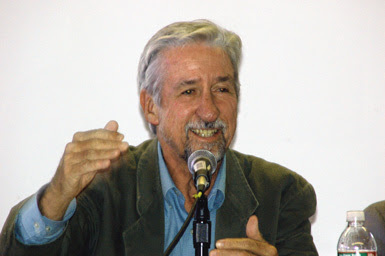 In his 2006 book "The White Man's Burden," former World Bank economist William Easterly issued a sweeping critique of the whole prevailing approach to aid, detailing how, for decades, aid providers had come up with massive plans to help poor nations and then, Soviet-style, attempted to impose them from outside, to little effect. Lacking local input and insensitive to local needs, these megaproposals often failed to make a real dent in the problems they were spending millions of dollars to address. Wealthy countries have closed their wallets. In Japan, the government has slashed aid budgets dramatically. In 2006, the United States cut development aid by over 18 percent, and it dropped again the next year. Despite the promises of Gleneagles, net aid handouts from the G-7 group of powerful nations fell by 1 percent in 2007, according to the Organization for Economic Cooperation and Development, a monitoring group. The nongovernmental organization Oxfam projects that by 2010, wealthy nations will fall short of their pledges by some $30 billion - more than the United States' entire annual aid expenditures. Okay, so the Millennium Development Goals are in trouble. Do they really matter? I say yes, provisionally. Their pursuit may do something concrete for some people in the world who need a better chance to survive with human dignity. But the MDGs also give those of us in the rich world who are surviving so very well indeed on the backs of the world's poor a place to stand. They ask us to demand of our governments that they reconfigure themselves as members of an interdependent humanity and planet. It's that simple. Given the wide diversity peoples and traditions around the planet, it's hard to find a shared platform from which to make claims for common humanity. No one religious faith or historic experience can claim to know it all. Somehow, we must learn to live together or die. The MDGs are a flawed but significant attempt to set such a goal across our differences. Internet activists: if you want to work for the MDGs in the way we so accustomed to, I urge you to take part in the Avaaz.org Poverty Promise Breakers petition campaign. 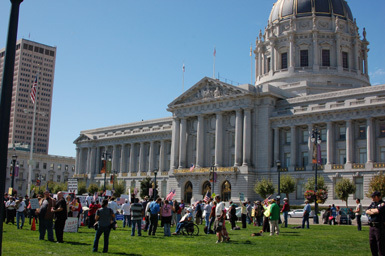 The organization is an effort to build something like MoveOn across national boundaries. The world needs to develop this kind of solidarity. Maybe you get a daily newspaper. (Fewer and fewer of us do.) Maybe you opened your copy last week and a DVD dropped out ... It was some film called Obsession. Maybe you even looked at it before you tossed it. 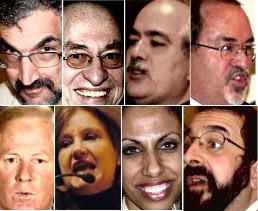 [And] Brigitte Gabriel [who] told the Australian Jewish News: "Every practising Muslim is a radical Muslim." She also claimed that "Islamo-fascism is a politically-correct word... it's the vehicle for Islam... Islam is the problem." Obviously Islam has its crazy adherents, but so does Christianity and every other religion. This film is defamation, rather like blaming Christianity for Timothy McVeigh and Jim D. Adkisson (that's the guy who shot up the Unitarian Church in Knoxville last summer). A shady outfit called The Clarion Fund paid to put the DVDs in newspapers, mostly in states where the Presidential election is a hot contest. 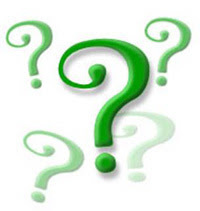 Because it is a new non-profit which has not yet filed a tax return, no public record exists of its officers or donors. Some newspapers didn't let themselves be used as a vehicle for hate. Many, however, needed the cash, so they did. They included New York Times editions in the Midwest, the Denver Post, the Des Moines Register, the Miami Herald, the Springfield News-Leader, the Las Vegas Review-Journal/Sun, the Columbus Dispatch, the Charlotte Observer, and the Philadelphia Inquirer. Full list here. I would urge readers to check that list and see whether your paper was among the ones that distributed the hate film. If so, why not contact the paper to ask why they thought it was appropriate to spread hate-filled propaganda. Do they know source of Claron Fund cash that paid them? It could have been the KKK. Would that have been alright? More action suggestions here. The website I'm relying on for this post is a project of Hate Hurts America, "a nonpartisan interfaith community coalition... formed to address the rising problem of hatred against American minorities." I reported their boycott of hate radio host Michael Savage previously. Somebody get John McCain back on his meds. All the guy knows how to do is stoke crisis and create drama. Now he's "suspending his campaign" and coming back to the Senate where he's missed 412 votes this year -- hasn't been seen since April. He's gone just completely wacko -- but that's the pattern. In August he tried to jack up a nice little war with Russia over Georgia; then he named a small time, completely unqualified minor politician as his Veep because her counterintuitive plumbing (for a Republican) made for a nice media splash. Now he's tanking in the polls and doesn't want play the game anymore. We need a President who can walk and chew gum, a President who can stop and THINK when confronted with reality. McCain isn't it. Cynic that I am, even I am surprised by how completely out-of-control this man seems to have become under the pressures of running for President. Until May 2006, when he was nominated by George W. Bush as the Treasury secretary, he was running an investment bank that was doing quite a bit of this slicing and dicing. Mr Paulson now declares himself shocked, shocked that structured finance was going on on Wall Street but he was there at the time, and the $18.7m bonus he received for the first half of 2006 presumably reflected it. And this guy wants Congress to give him unregulated authority to play with $700 billion of our money? For starters, he could donate that $18.7 million bonus. But really -- why is Congress even listening to this guy? H/t Just World News. Go over there and scroll down to read about the price China seems to be asking for helping the U.S. economy -- how about Taiwan? Over the last couple of weeks, many pundits have agreed on one point about John McCain and his campaign. The man lies. And since his basic pitch to voters is that, as a former POW he is a uniquely honorable man, this upsets observers, especially those who have known him. McCain's transgressions, though, are of a different magnitude. His whoppers are bigger; there are more of them. He -- the easy out would be to say "his campaign" -- has been misleading, and at times has outright lied, about his opponent. He has misrepresented -- that's the charitable verb -- his vice presidential nominee's record. Called on these fouls, he has denied and repeated them. McCain has soiled all that. Oddly enough, given the last several months, it's genuinely hard to tell when McCain is being dishonest and when he's being incompetent. This is quite a catalog of judgments against McCain. These people are not the radical left. These are centrist journalists with long experience of watching politicians. And they are appalled by John McCain's current behavior. A lie is a statement, believed by the liar to be false, made to another person with the intention that the person be deceived by the statement. The Washington Independent thought to ask Bok about McCain's string of false claims. "I don’t think people understand how much it damages them," Bok said on the telephone from her home in Cambridge, "maybe not in the short run. In the short run, the cost of integrity, for instance, it might not seem to matter. But they have to understand that when they lie simply to win an election, they must be prepared to sacrifice their self-respect. "Moreover, they’re doing harm to society," Bok said, "Once people have the notion that people in public service are all dishonest, the whole profession of public service, or journalism, is damaged. Everyone is seen as dishonest -- when we know there are good, honest people who choose to serve in public duty, in public life." 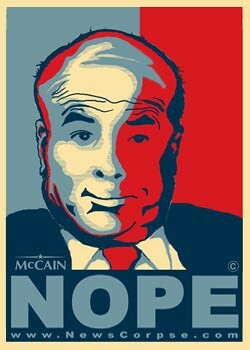 McCain certainly is showing he's no maverick. Like Bush and the rest of the gang we've been stuck with for the last eight years, he is willing to tear up the foundations of public trust for his personal gain. Maybe he should have worked on Wall Street? Is the financial crisis more dire than the climate crisis? Yesterday I spent a few hours canvassing my neighborhood for the Million Doors for Peace. The project aimed to marry electoral technology and practices with peace activism to keep the issue of the ongoing war in Iraq on our easily distracted officeholders' minds. One of the novel features of this electoral season is that cheap, easy manipulation of reasonably accurate lists of voters has finally come. For years, those of us who worked on field campaigns struggled with "those damn lists." The materials we got from voter registrars and vendors were inaccurate, expensive and difficult to print in forms that we could use. Volunteers spent endless hours inputting or correcting data that might, or might not, be used to turn out supporters in the election. It was all painfully cumbersome. Most Americans oppose the war in Iraq, but have never been directly invited to participate in an anti-war action. By engaging people where they live, neighbor-on-neighbor, Million Doors for Peace will elevate the debate over the war and its costs. I can testify that online technology worked perfectly. I got my list with no problem and I uploaded my results with no problem. I don't know yet how many peace activists actually worked on this project, but I am willing to believe the Million Doors organizers that this was "the year's largest anti-war mobilization." I'll post an update when I get a report on how we did. ***So what was it like going door to door for peace? I've separated my report from the foregoing as I think my experience was profoundly idiosyncratic, a product of the wonderful but difficult San Francisco Mission neighborhood where I live. It didn't take me long to hit every address I was assigned. Every one of them was within a long block of my house. You see, I live in a very dense, very transient pocket of the Mission. As many as six of these "new or infrequent" voters were behind the same door. Or rather, as I quickly discovered, may have lived there at some time. "Daisy? ... oh yes, I think she lived here a couple of years ago. Maria? Well we get mail in that name sometimes...but we have no idea who she is..
A large chunk of my voters were long gone. 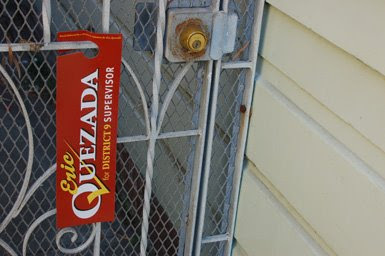 The neighborhood was already well draped with candidate literature. We have a hot contest for who will be the next supervisor for District 9. I assured everyone I talked with that I wasn't representing any candidate. 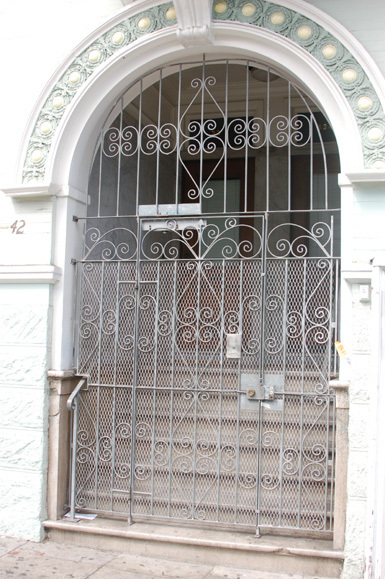 But mostly, the doors near my house look like this: fenced off by a metal gate with three broken doorbells and no name plates. I was unable to reach 6 theoretical "voters" there. Though this is described as a Latino neighborhood, and it is, most of the people on my list were probably young whites who had moved on, judging by the people I did meet at those addresses. So my results were pretty puny. Two folks agreed to sign the petition; I verified that about 10 were no longer here; and the rest were unreachable by me in one days work. That would be terrible results in an electoral canvass. It is a rule of thumb that a canvasser in a suburb can reach about 14 people an hour and it has been true in my experience. But not here, not in the Mission. Q. So is it fair to say that Americans who are neither rich nor reckless are being asked to rescue people who are? What is in this package for responsible homeowners of modest means who might be forced out of their homes, perhaps for reasons beyond their control? A. Yes, you could argue that people who cannot tell soybean futures from puts, calls and options are being asked to clean up the costly mess left by Wall Street. 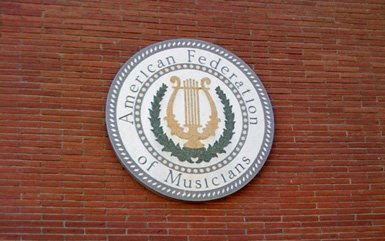 This is a guest post from my partner Rebecca who knows more about matters financial than I do. She's smart. It seems the Bush administration has suddenly woken up, looked around, and been shocked to discover that its friends and allies in the financial world are losing a lot of money. For months ordinary people have been losing their homes, while Bush & Co. pressed the snooze button. Now that the slime has begun to touch the Big Boys of Wall Street, they're hitting the panic button instead. 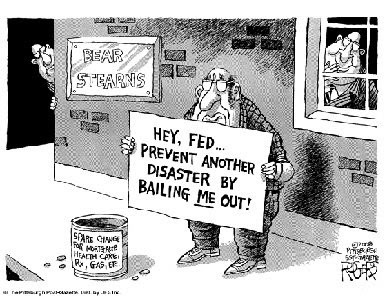 The New York Times reports this morning that Treasury Secretary Henry Paulson and President Bush are asking Congress for "far reaching emergency powers to buy hundreds of billions of dollars in distressed mortgages despite many unknowns about how the plan would work." If Congress does what Bush & Co. are asking for, the result will be the SLIME Act of 2008. Under Bush's plan, the government would not even administer this cesspool of bad debt. Paulson says that the Treasury Department will hire "professional investment managers" to run the most expensive government program ever undertaken in this country. Professional investment managers? Aren't they the guys who got us into this mess in the first place? That's why I call the Bush plan the S.L.I.M.E. Act. It's the Successful Looting and Investment Manager Employment Act. 1) It's not a plan. It's a set of broad new powers for the Treasury department. 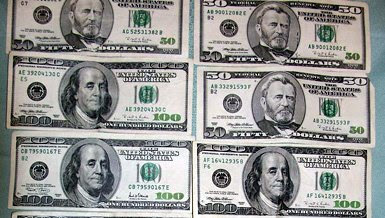 Bush and Treasury Secretary Henry Paulson are asking for a blank check from us to buy up somewhere between 500 billion and a trillion dollars worth of almost worthless securities from Wall Street banks and investment firms. The theory is that the government will be able to turn around and sell these securities (which are basically bundles of sliced-up bad mortgages) to recoup some of that "investment." But if the banks can't sell them, why should we be able to? 2) These new powers would seem to have no limits -- on time or money. There's no ceiling on the amount to be spent or on how long the Treasury department will be permitted to go on buying bad investments from banks that make bad bets. 3) We the taxpayers are not just "taking over" bad assets from the banks that own them. We will be buying them. Nothing in the Bush "plan" says who will set the price, or how high the price can go. The more the banks can get for these securities, the smaller the loss for their investors. They have every incentive to set the price as high as possible. And Bush & Co. have every incentive to scratch the backs of their Wall Street buddies and go along with that high price. Remember that back in the 1980's the biggest thievery happened after the Reagan administration set up the Resolution Trust Corporation to buy up the failing assets of savings & loans institutions. The government paid top dollar then, and a lot of rich people got richer even as the institutions they had been running went under. 4) There's no rush. Yes, the financial sector of the economy is in real trouble. But this problem didn't appear over night. In fact, it started back in the Clinton administration, when Congress undid bank regulations that had been in place since the Depression. If it took ten years to get us into this mess, Congress can take more than ten days to get us out of it. As little S.L.I.M.E. as possible! 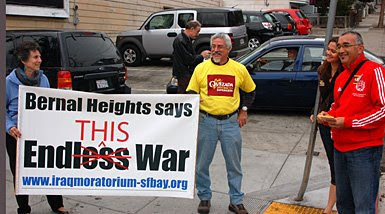 In San Francisco's Bernal Heights, neighbors vigil for peace on September 19. The fellow in the red on the right is local candidate for city Supervisor in District 9, Eric Quezada. Yesterday marked the beginning of the second year of the Iraq Moratorium campaign. The project urges activists all over the country to take public antiwar actions on the third Friday of every month until we end that war. And people do. This vigil group stands at Cortland and Andover each month. Meanwhile, over at U.C. 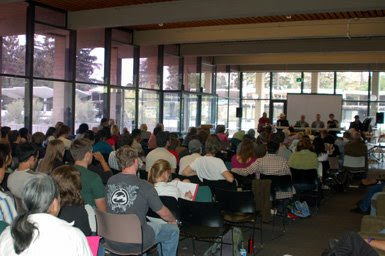 Berkeley, a teach-in was taking place in the student union building, bringing together veterans of the anti-Vietnam movement of 1968 with contemporary antiwar activists. Current students were pretty interested. Nobody had all the answers for the contemporary peace movement, but there were some interesting observations. I wrote down some quick bits from the speakers. We shouldn't expect a headline that says "Antiwar activism turned the US people against the war." But something did turn them around. We need to embrace our successes as well as recognize how much we have to do. The two vets from current wars brought energy and passion. Cleavon Gilman joined the Army in 1999. It was peacetime and he needed a job. They made him a corpsman. In Iraq, he saw soldiers he knew blown to pieces. He worked for a time at a prisoner processing facility where Iraqis were held on suspicion of being terrorists. The U.S. troops guarding them mostly saw "hajiis" and "niggers." He said "these 'terrorists' looked pretty peaceful to me." Pretty soon he figured out there was a pattern. A U.S. unit would search a town; their base would get attacked. "There was a kind of cause and effect thing happening over there." He left the military and now is student at UCB. The other vet, Forrest, had served in Afghanistan. A member of Iraq Veterans against the War, he described the changes in himself as his experiences in the war zone pushed him from a gung-ho post-9/11 patriotism to a belief that "we're being like Hitler." "movements are hurt by electoral politics"
Sometimes there are figures who come along who create the space for a movement to fill. ...If he wins, the struggle will be to hold him accountable. If McCain wins, there'll be a race between radicalization and depression. Hayden warns that the wars of the next few years are likely to be "counterinsurgency" operations rather than invasions with large troop commitments. Counterinsurgency means you try to get non-white people to fight your wars against each other. Hayden looks to veterans and a new generation of activists to make the wars of the empire visible to the people our rulers would rather keep in the dark. 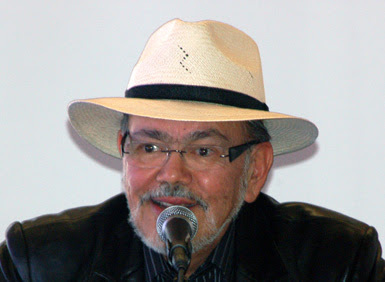 He sees continued activism as the way to create momentum for peace. One of the nice things about being a Democrat with a stock portfolio is that your risks are fairly well hedged. If the market goes up, then you make money, and if the market goes down, then you're more likely to see a Democrat elected President. That's 3:16 on what the financial meltdown would mean if Republicans had managed to privatize Social Security. 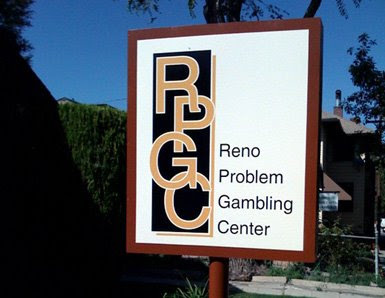 With the bailouts, it appears they too have successfully hedged their bets: while the casino spun happily on, they made money. When the crash came, we the people get to save their sorry asses. ''We want the best person to be president of the United States, whether they are Republican or Democrat, and clearly Obama is the best candidate,'' said Riordan, a former state secretary of education, adviser to and long-time supporter of Gov. Arnold Schwarzenegger, who is backing John McCain. Riordan is a kind of Republican who is almost extinct in California: a plutocratic realist. Around here, Republicans have dwindled to a minority party, a fractious repository for intolerant Christianists, explicitly racist white people terrified of demographic changes, and wacky climate change deniers. The only way they get any political traction is stirring up fear and repugnance for other Californians. There are a few other prominent Republicans endorsing Obama, among them a retiring Congressman from Maryland, Wayne Gilchrest, and former Rhode Island Senator Lincoln Chafee. These gentlemen also apparently think that being in government is about facilitating and preserving the country's wellbeing, rather than about purging the impure and enabling pillage by the lucky. I doubt I share hardly any policy prescriptions with these Obama-endorsing dissenters from the GOP, but I can imagine I might share some values. 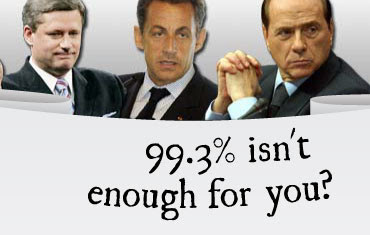 What's frightening is that I don't believe I share any values with the other, much more numerous, kind of Republican. And since I think that in the end it is all about community, that's scary because we are stuck in this together. Someone I don't know named Kelvin LaFond has written a letter to the editor of the Fort Worth Star-Telegram that describes how racism works in the Presidential election with admirable brevity. I don't know whether that newspaper will/did print it, but I can reproduce it here [minor edits for clarity]. On Constitution Day (did you know we had such a thing?) this video [5:45] seems on the mark. Last week at a town hall meeting in Michigan, Barack Obama called on an articulate and very distressed citizen who gave a mini-speech as so many questioners will. She wants her country back. And after some overly bellicose warm-up posturing, Obama explained and defended the principle of habeas corpus and the rule of law. He knows why we need it. "We might think we've grabbed Barack the terrorist, when in fact we've got Barack who is running for President." He could say more. He could say a lot more. But unlike the other guy, he demonstrates that he knows what the Constitution is and that we need it to set some limits on the arbitrary power of the state. Electing him would give those of us who care about the rule of law a place to start clawing our country back. 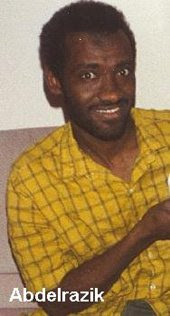 Abousfian Abdelrazik is a Sudanese-Canadian. He immigrated in 1990 in search of a better life as a machinist. In 2002 he flew to the country of his birth to visit his sick mother. And, against his will, he has been there ever since. He was twice imprisoned by the Sudanese, locked up from August 2003 to July 2004 and November 2005 to July 2006, despite no charges against him. He reports he was tortured. Apparently his name turned up on a United Nations terrorist watch list. He is suspected of ties to Al Qaeda, though no legal process has shown any connection. He may have known with some shady people at a mosque he attended in Montreal. In April 2008, still on an international no fly list, he took refuge in the Canadian embassy in Khartoum where he is still holed up. The Canadian government has been reluctant to help their citizen and no airline has been willing to book a flight for him. Abdelrazik has four Canadian children, one of who he has never seen. There are reports that Canada's big southern neighbor may be involved in the quasi-imprisonment of this guy. Canadian intelligence warned against allowing Abdelrazik to return over fears it could upset US officials, who also have him on a no-fly list. 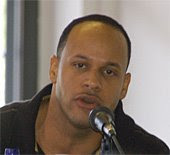 The daily said Washington labeled Abdelrazik a threat on July 20, 2007 -- the same day he was released from Sudanese custody. At one point the Canadian government said it would issue him a new passport (guess what, his old one expired while he was locked away?) but now they have backed off. Amnesty International has gotten involved. "If there are valid security concerns in this case, deal with them lawfully and fairly through Canadian law in Canadian courts," said Alex Neve of Amnesty International. "It is time for the government to take swift action to ensure Abousfian Abdelrazik is able to return to Canada," he said. "It is time for him to face justice, not injustice." Not surprisingly, Canadian Muslims are very concerned about this case. If Uncle Sam fingers someone, does he drop in a black hole? Perhaps. As a United States citizen, I find it depressing that my government is apparently pushing Canada to violate its own legal standards -- and depressing that Canada is going along. So much for the implications of McCain's "understanding" of terrorism. He can't or won't take in the reality of the world we all live in. Today's so-called realists, Kagan says, are "supposed to be locked into some titanic struggle with neoconservatives . . . but rather than talk about power, they talk about the United Nations, world opinion, and international laws." Sissy stuff. Clearly China wants to be part of the world economic system and has little interest in threatening neighbors. True, China believes Taiwan should one day return to the fold, but is not bent on invading Taiwan and accepts the status quo as long as Taiwan does. As for Russia, it cannot be excused for its lunge into Georgia, but it was the US-trained Georgian Army that upset the status quo in South Ossetia. Nations, like human beings, can feel threatened and lash out when attacked, but hostility is not an immutable trait. It would do no harm to recognize that Russia has an interest in what happens in the countries along its southern flank as does the United States on this continent. To view Russia and China as nothing more than villains striving to expand their power at the expense of the West is simply to fight the last war, the Cold War, over and over when the geopolitical terrain has changed. At root, what ails McCain is that the war that screwed up his life and body was lost while he was captive in Vietnam. His suffering (not self-sacrifice, please; the Vietnamese did exactly what he would have done and shot back and he ended up a prisoner) took place in the context of national defeat, not national glory. The guy wants another chance at winning a shooting war. And he blames those pesky civilians who stood up for the Constitution against Richard Nixon for robbing his sacrifice of the kickass triumph he feels entitled to. "I think it was winnable," he said. 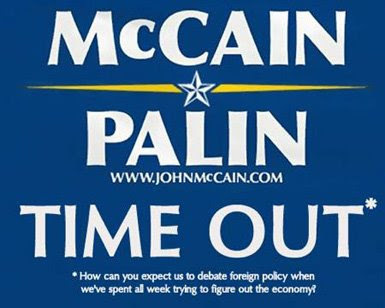 The agony McCain suffered in a losing cause has left him unable to adjust to realities. Apparently he really believes the U.S. can "win" by destroying other countries despite bankrupting itself and without concern for "a decent respect to the opinions of mankind." He is a dangerous man. Stop it with the emails! 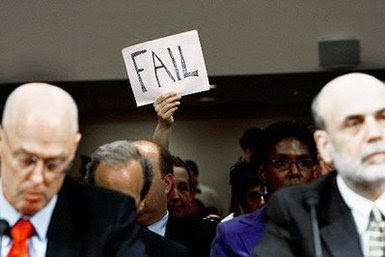 John McCain has found no agenda to run on, except continuing in a muddled way with the failed policies of the Bush era. The Palin selection is just a reckless, attention grabbing ploy by a washed up candidate. McCain has nothing to run on. He gives us an attractive, slightly vicious, bauble to distract us. Then he touts the only asset he's got: his personal history, his past honor. POW, POW, POW. But since he has no real agenda for the country, all he has done is drag his own moments of pain and courage through the campaign season mud. It's kind of sad. 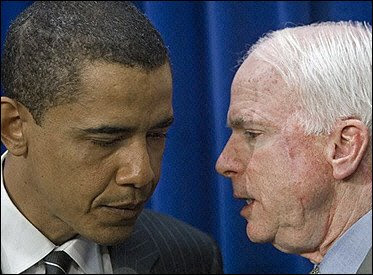 Those of us who want something else need to help voters turn away from McCain, to understand that he has had to trash his own best moments because he has no vision, and to explain that Obama does offer the possibility of hope and change. John McCain lies because he does not know how to solve real problems, because he has no faith in the American people, because he wants to force the country backward instead of lead us together into the future. More and more people are getting hammered by a financial system that treats the work and wealth of our people as a giant casino for the flashy and greedy. Can we afford more of the same? Of course not. We want better and fortunately someone is offering better. With Barack Obama, we have a chance to hope again in our country. Yes, we can. More airplanes, more zoning out to survive the plastic cattle cars we fly in. Her name is Bean. 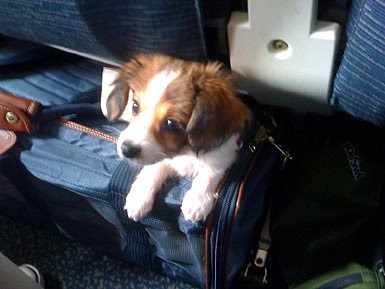 Whenever the stewards were elsewhere, she stuck her head out of her carrier and checked out the scene. I think she got treats from her person -- she certainly was entirely quiet and calm about this novel experience. If you don't like how the Presidential campaign is shaking out, if you are disgusted by the racist appeals the sleazy McCain campaign is peddling, don't whine. DO SOMETHING. These folks did. 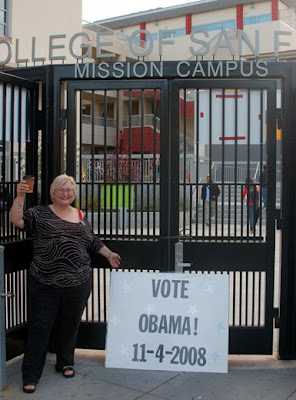 They were registering young voters at the Mission satellite campus of the City College of San Francisco last week. Of course, they would give the forms to anyone, but it was pretty clear who they wanted to elect. 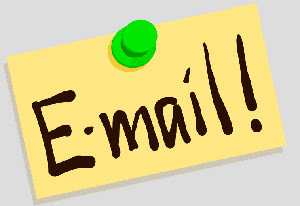 To get involved in the Obama campaign, start here. It sometimes takes persistence to find volunteer options you can do in a campaign, but sitting back and complaining isn't going to make a difference. And if you can't stomach the Obama campaign, try signing up for the Million Doors for Peace this coming weekend. Debate afterthought: Isn't Georgia peachy? John McCain lies Does it matter? The Otherness of Barack Obama: "It's the names"
What is the Iraq war costing?